Most intelligence tests today have a mean of 100 and a standard deviation of 15. This means that the average scorer will receive an IQ score of 100, and that statistically 68 percent of the population has an IQ between 85 and 115. IQ scores are placed on a bell curve, or normal distribution. Essentially, when all of the scores are placed onto a table, you'll notice a distinct parabola shape. Most of the IQ scores are hovering around the arithmetic average of 100. The mean, median and mode on an IQ test should all be the same number since IQ scores form a normal distribution. The mean is simply the average score whereas the median is the score exactly in the middle of a data set and the mode is the most frequently occurring score. The mean, median and mode for most IQ tests is 100. The term "IQ" itself is somewhat outmoded. The term originates from early psychologists Alfred Binet and William Stern. Old IQ tests would calculate your ratio score by dividing your mental age by your chronological age and multiplying the result by 100. Today's IQ tests, including the Wechsler Adult Intelligence Scale (WAIS) and Stanford Binet, produce deviation IQ scores rather than ratio IQ scores. That is, today's tests chart each person's performance on a bell curve and in the context of a standard distribution of other test takers. You may have heard the terms "culture-free" or "culture-fair" in descriptors for online IQ tests. This essentially means that the test aims at reducing the impact of your knowledge of words, facts and culture (crystallized intelligence) in favor of on-the-spot reasoning that's relatively independent of schooling and cultural influences (fluid intelligence). 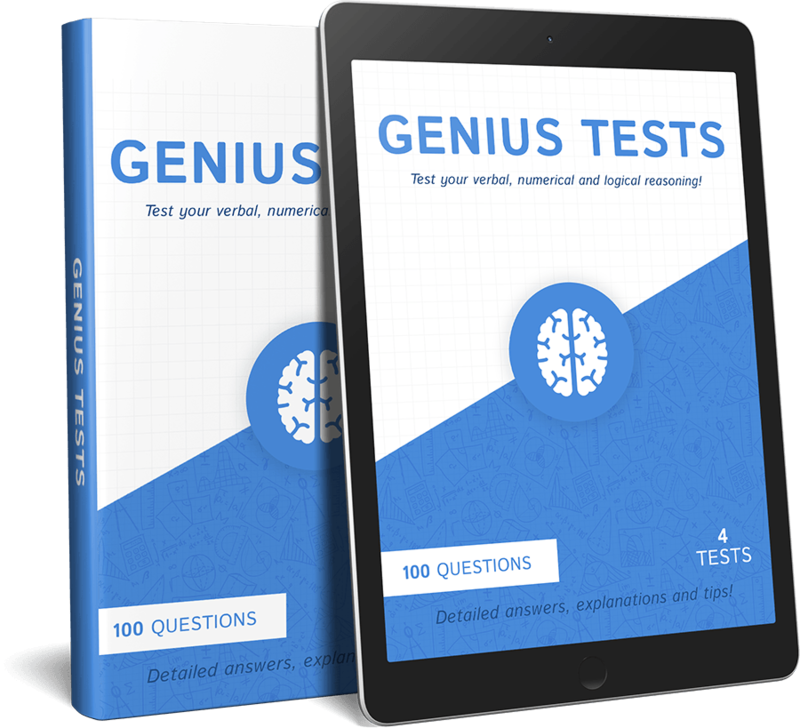 The most popular standardized, professional IQ tests today include portions that are culture-free and that gauge fluid intelligence. For instance, the WAIS has a matrix reasoning subtest that tests skills like inductive reasoning and visual processing. A test taker could theoretically do very well on the matrix reasoning subtest without a large vocabulary or extensive knowledge base that would help him or her do well on other portions of the WAIS. For instance, the verbal comprehension index on the WAIS includes vocabulary and information subtests that gauges the depth of one's vocabulary and knowledge base, respectively. In short, if an IQ test question requires an extensive cultural knowledge, then it's likely gauging crystallized intelligence in some way. If the IQ test item forces the test taker to reason extemporaneously or engage in a novel intellectual task, then the question is likely tapping into fluid intelligence. Remember that the average score on most deviation IQ tests today is 100. Approximately 70% of test takers score within one standard deviation of the norm, or between 85 and 115.